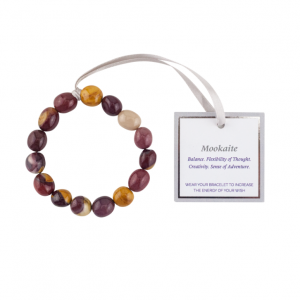 As you travel on your Wish Journey, Mookaite guides you to focus on the present and find the answers that are best suited for you right now. Encouraging balance, it helps you to remain open and honest about all new ideas that surface around your Wish. It suggests that you be more flexible in your thinking and helps you to discover all the possibilities that an open mind can bring. 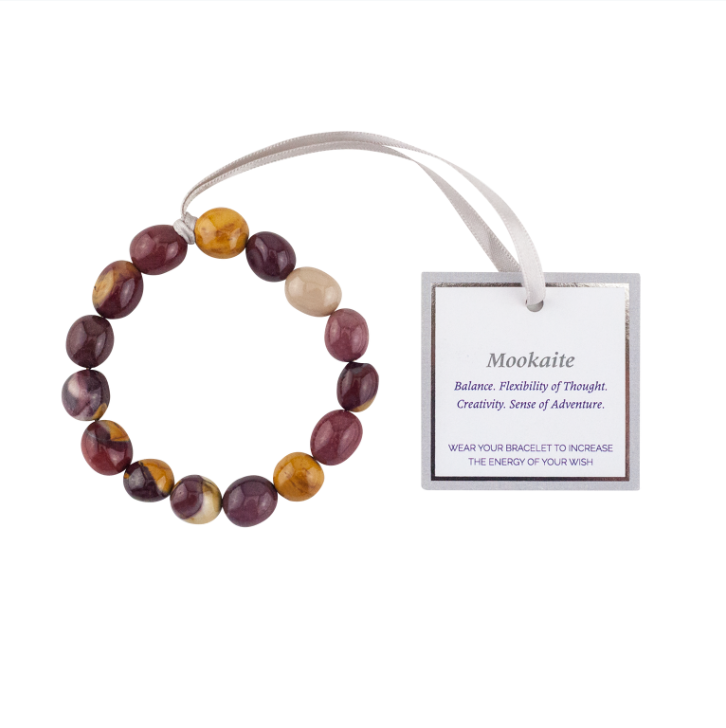 If you are feeling stuck around your Wish, Mookaite brings that boost of creativity and flow of new ideas you’ve been looking for, and helps you in putting them into action to achieve the best possible results. Balance. Flexibility of Thought. Creativity. Sense of Adventure. 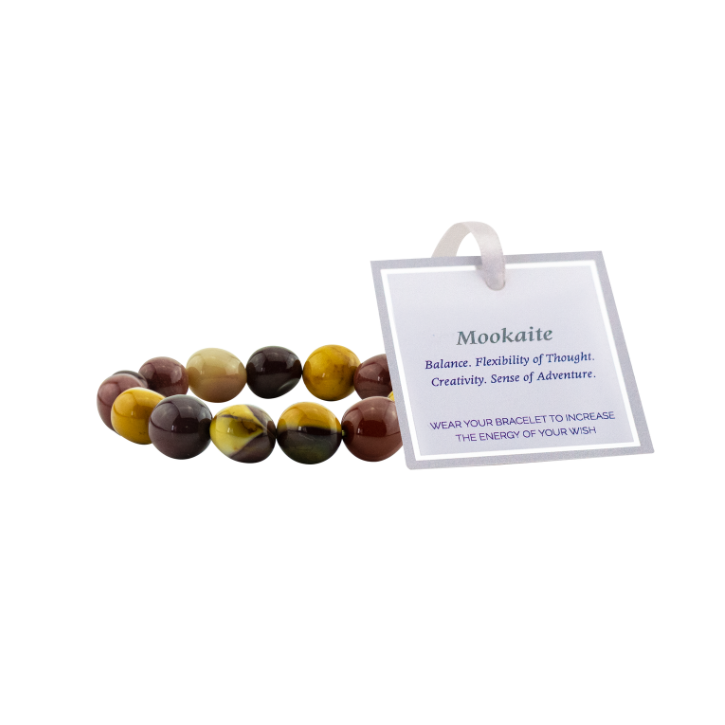 Mookaite imparts a desire for adventure and new experiences, as well as the calmness with which to face and embrace them. It helps to nurture and support you: sustain the body, particularly during stressful periods; and brings feelings of peace, wholeness and stability. It is a reminder to be more kind to yourself as you travel your path and helps to balance the acceptance of change, both internal and external. 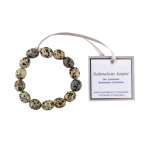 The Wish ~ Mookaite Wish Bracelet is one size fits all and includes approximately 15 individual crystals.